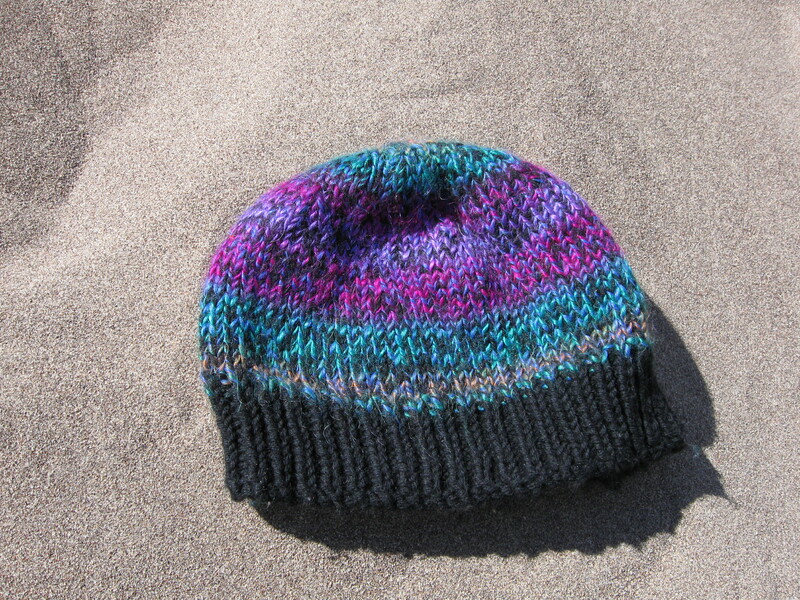 I wanted a really thick warm hat to wear during winter so I made this one. 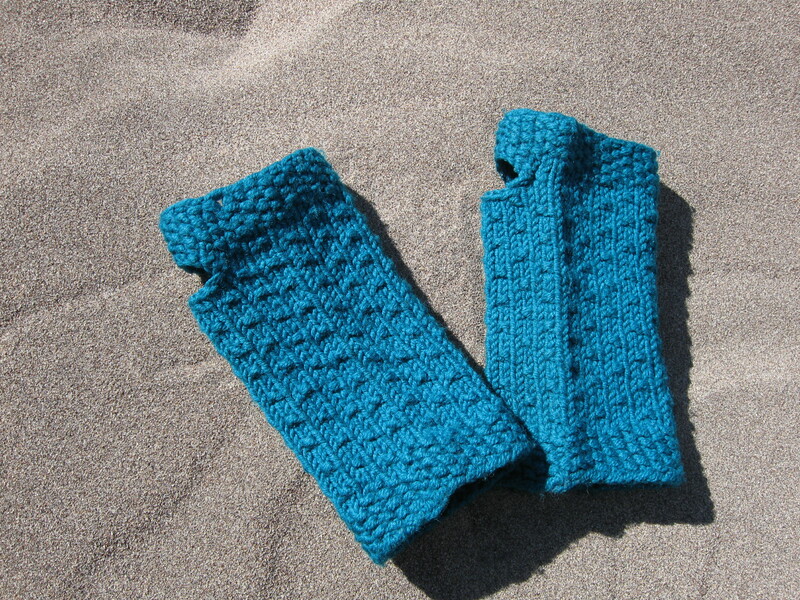 I love these, and they are super simple to knit since they are just a tube with a thumb hole. This is my oldest’s hat. 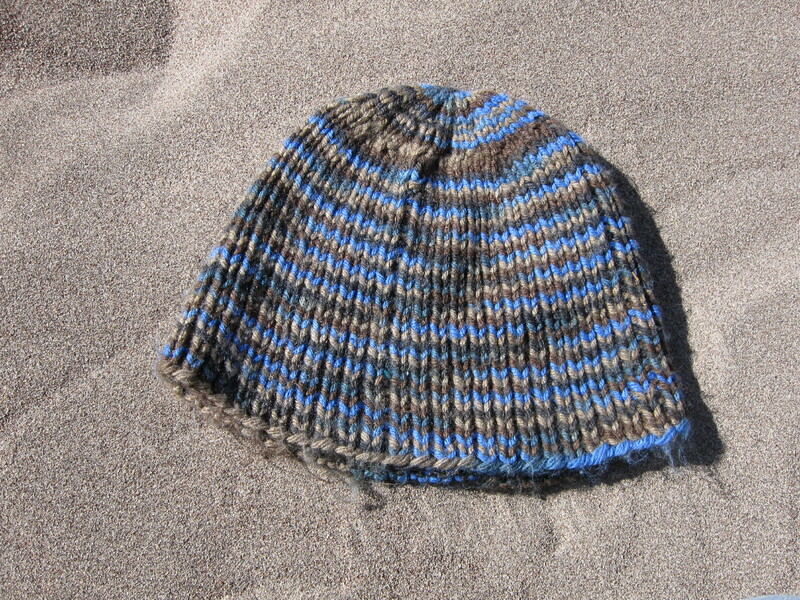 He has been wearing it for about a year and it was one of the camouflage yarns. It is getting stretched out because he likes to tug it down over his ears. I don’t usually take pictures of stuff that I make so I don’t have many things to take pictures of. My name is Lucy, and I used to live in the park. I really loved it there, but that has changed. I had a beautiful web that was so great at catching bugs. The know-it-all old spider I was friends with told me that I should not build my web near the two legged hatchling’s area. I did it any way. I think she was starting to lose her mind. The little boy took me home in a hard thing with holes poked in the lid. It had a very sticky liquid in the bottom. I was so afraid of going with him, but I did not have a choice! It seemed like it took forever to get to his home. I do not know how the humans can live it the horrible dwellings that block all of the beautiful sites. It does seem to protect them from the wind and rain. Oh how I hated the wind on my webs. He was a very noisy hatchling! But, I was given a nice large home to build webs and the dear boy would bring me more bugs than I could have ever eaten. I had to watch how many I ate, or I would have gotten too big for my body! I had so many different parts to build my web in without worrying about the weather ruining it. I loved watching the perfect spiral pattern emerge, and it caught the yummiest bugs. It isn’t hard to catch them when they are limited to the same space you live in though. The boy brought me bugs all winter long; though I don’t know where he collected them at. He would sit and watch me work while the snow came down outside. He took me to school to see all of the other hatchlings one day. It was very interesting, and I got to see pictures from places I will never see. When he took me to the front of the group so I could see them better and few long haired hatchlings shrieked and screamed at the site of me. I did not like their screams one bit! One of them shouted that she was going to squish me. The teacher made him stick my little travelling house under his seat to avoid any more problems. He took my little travelling house to the park one day. It was so quiet there, but so cold that I could barely move. I noticed my old spider friends web was not on her bench. I do not know what spiders do in the winter so I hope she is well. I noticed the weather started getting warmer again and the boy started to play outside more and more. I missed watching him while he was outside. I started seeing all of these brown squares being filled with the boy’s toys and books. He was not playing all the time any more, but he also was not sitting either. He seemed as busy as a spider trying to learn to make the perfect spiral web. This continued as long as the weather continued to warm the earth. The boy started pulling boxes from his room. I remember being very worried about what would happen to me when I saw all of the stuff gone from his room except my glass house. That boy who I had come to think of as a friend seemed very sad that day. He took my house out into the yard and carefully tipped me out near a beautiful bush covered with the most beautiful flowers. It provided me with many places to build webs. He smiled at my while crying a little. After a few short seconds his mom yelled from the driveway that they needed to hurry up and leave. He followed the sound of her voice to the waiting truck. I never saw that boy again. I had hatchlings of my own that went out to fend for themselves. I have lived in the beautiful bush ever since then. The grey haired human that carefully tends this bush now tries not to disturb my web, and tells the noisy hatchlings that call her “Grandma” that I am here to keep the bugs off of her roses. I am an old spider now, but I will never forget the adventures of one little human hatchling. I fear that I will not be here to protect these flowers from the bugs when the earth thaws after winter, but I am sure that someone will step in to take my place. My youngest (3yrs) was rough housing last night and fell off the bed, with some help from his brother. If you ask him he was jumping on the trampoline and fell off the chair and then hit the ground and then one fish, two fish, all the fish fell. (Sorry he told it as one continuous thought so I did too) No fish were harmed; I checked the tank. Xrays were had after he was still hurting really badly 20 minutes later so we know he is just badly bruised. I wish I could tell a story like a three year old. They really aren’t limited by any grammar or word usage rules, and they still get the message across to people who understand them. There is a Dr. Seuss quality to what they say; no fear or worry about embarrassment. My largest stumbling block for writing is the fear that someone may read it some day. Writing skills are judged by every one who can read it. You know this is true if you have ever read product reviews and were aghast at the spelling, punctuation and grammar. I know I feel this way when I read them, and some days I feel that way about what I have written. Humans are so damned judgmental about things that a lot of people are held back, but those same opinions are awesome at the same time. Now I need to shut up because I will just keep going and going. The aforementioned three year old woke up every damn time he rolled over last night because he was in pain. I am hoping that resting for a day will help him feel a bit better tonight so we can all get some sleep tonight! And no I didn’t real proof read this or edit it as it is just random thoughts that popped into my head. I don’t write very well when I am over tired, nor do I knit very well in this same condition. I spend too much time staring at the stitches trying to figure out why they do what they do, but after a quick nap it makes sense again. I hadn’t messed with this blog and the lost the login info when my laptop died. I remembered I had started one so I decided to look around and see what I could find. I figured out what my info was so here I am again! This silly internet world hasn’t gotten rid of me yet. As I can’t seem to take pictures of finished knitting projects very well before little ones run off with them I am hoping to add some extra stuff to this one. So hopefully there will be some posts about writing and favorite things I have read over the years. I get so much out of other’s words that it feels weird to share my own . Well, my Babe double treadle spinning wheel is visiting a friends house. My only complaint is that she did a beautiful job especially compared to my yarn! I have had so little time to practice with work and training for work! Eventually I will figure it out! But I do love my wheel a lot! My friend stayed up all night spinning, so maybe she will have some tips for me! I really want to get good at it! I think an angora (rabbit) hat would be amazing for sledding so I will not be cold even if it has eyelet holes and is lacy.